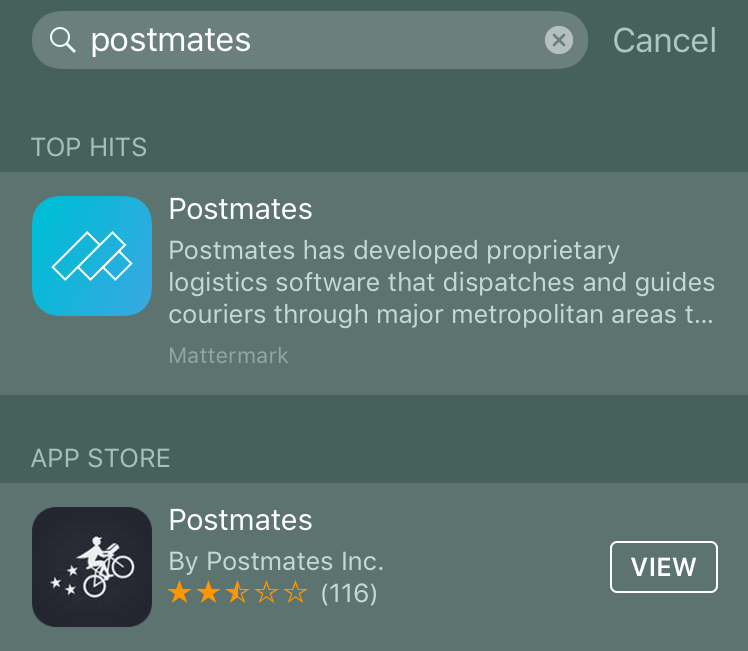 Now you can use iOS 9’s native search feature to find Mattermark search results. 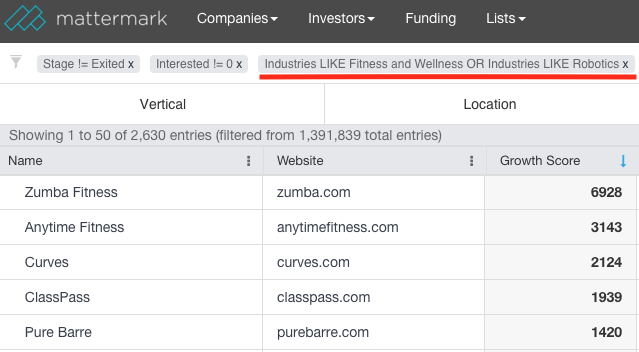 Simply type a company or investor name into the search bar to see Mattermark’s data on that organization. Browse through an investor’s deal activity, their portfolios, and search ‘funding’ to see recently closed rounds. 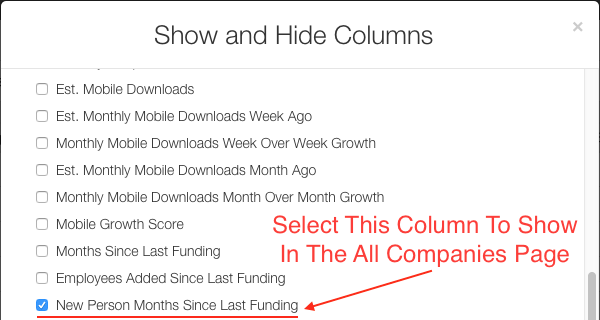 We’ve updated how the ‘New Person Months Since Last Funding’ (NPM) metric is calculated. This number can be multiplied by the average all in cost of an employee, $10K – 20K (or any multiple you want) to estimate the cash burned since last funding date. 10 NPM x $15K = $150K burn since funding. As new business verticals emerge, we help you stay on top of them by adding relevant tags to company profiles. With fitness and robotics tags, you can now discover and sort through 2,630 tagged companies, and new companies will be tagged when added to our database. As you create Custom Lists of companies you want to keep an eye on, you can share those lists with your colleagues. Now, with any of those Shared Lists you’ve been given access to or shared with others, you can export the data to CSV format to crunch on your own.